Street photography grabbed my attention only about 3 years ago when I stumbled upon images made by photographers like Cartier Bresson and Joel Meyerowitz on the streets of Paris and New York. Those images were so real. So unposed. For the first time I felt emotionally connected to still photographs. I wondered about the people in the images and what their lives must have been like and where they might be today. I marveled at how the photographer captured such a fleeting moment to tell the perfect story. Sometimes I would lose myself in an image for several minutes. That’s when I realized that this is the kind of photography I wanted to do – capture real moments of real people going about their lives. I am a very curious person by nature and I love watching people live. So I grabbed my camera and headed for the streets. The only difference is that I was not shooting in Paris or NY or London. 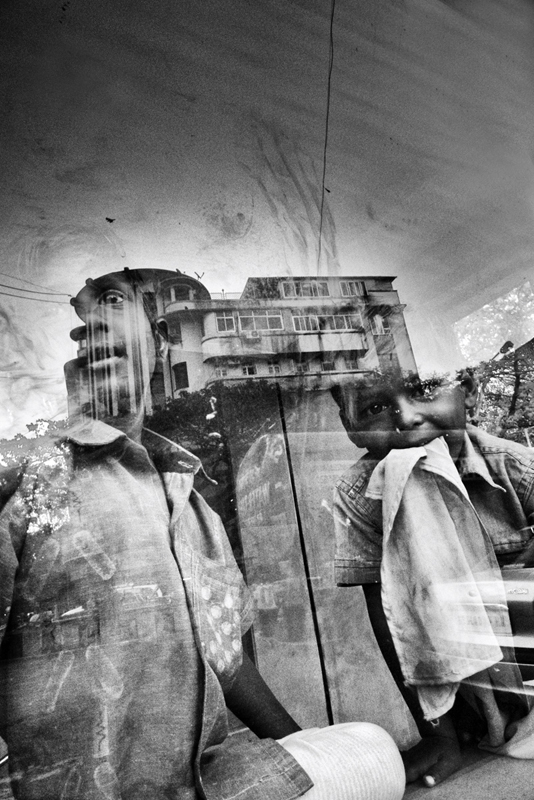 I was in Mumbai, India, where I soon discovered it was a serious challenge to capture the kind of images I had in mind. Mumbai has a population of over 20 million people. Over 70% of these people live in slums or on the streets and make up my primary subjects. Those who can afford it travel by car or taxi to avoid walking. 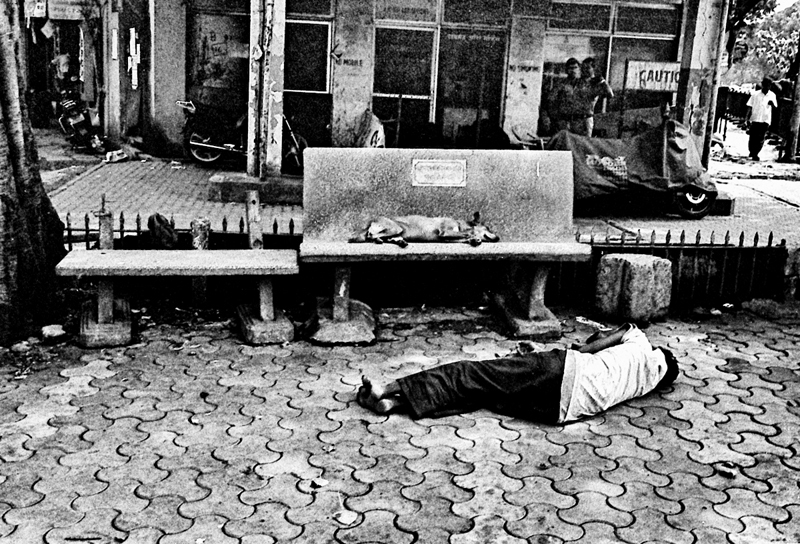 In fact Mumbai is not a city designed for walking, which theoretically makes street photography redundant. 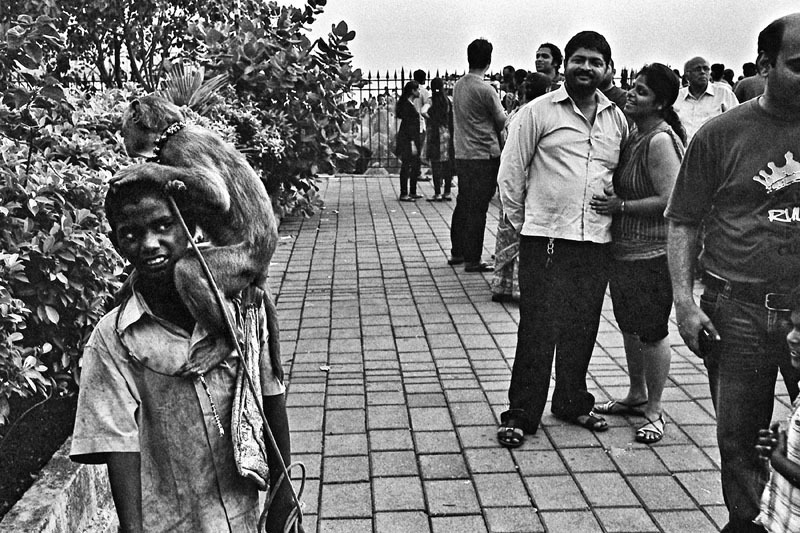 And trying to be an invisible photographer in Mumbai is like Gisele Bundchen trying to go unnoticed in San Quentin. I thought that in such a crowded city it would be easy to remain anonymous. And it was until I attached myself to a camera. Suddenly I was attracting all kinds of unwanted attention. Over excited kids jumped in front of my camera just when I had the perfect moment framed; and I was drawing suspicious glares from people who were obviously doing something they should not be doing – like illegal pavement vendors who are wary of citizen journalists posting images on the net or in newspapers in an effort to get them out of there. I realized the importance of maintaining an unthreatening and affable way about me when walking the streets. 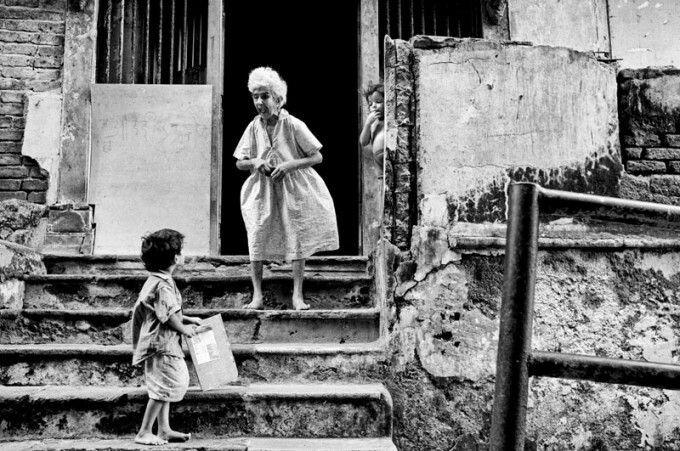 As a photographer it is easy to be mistaken for someone who is looking to exploit the poor for self-profit and that creates a lot of antagonism in the people. As a rule I avoid shooting people in obvious distress or in abject circumstances – there are several better alternatives to choose from. Personal safety is also an important aspect when shooting on the streets of Mumbai. Pavements are often narrow and filled with squatters and hawkers and I am often forced onto the road where I have to dodge the endless flow of vehicular traffic. I have to be as vigilant about where I walk as I do about potential images around me. There is a lot going on and I had to learn to manage the chaos and filter out distractions in order to find that special shot. And I needed to do all this without aggravating anyone. Initially when I took my camera onto the streets I perceived a hostile vibe toward me. I shot from the hip a lot and barely managed to score any keepers (I find shooting from the hip quite unsatisfying because luck often plays a much bigger part than you do). There have been a couple of instances when my photographic excursions have instigated aggressive reactions. Like the time I made a picture of this quaint building with a garish beauty salon signboard at the entrance. The board had a picture of an inviting woman on it. The fact that the sign and this building were so incongruous is what made the image for me. As I moved on someone yelled out to me but I pretended not to hear. Within minutes a car with four men pulled up beside me. A burly, angry looking guy jumped out and asked me why I was photographing his building. I told him the truth and luckily he believed me and laughed. He got the idea but he still insisted I delete the image and I immediately obliged. As it turns out the salon is a cover for a brothel so I figure the burly man had every reason to be concerned. 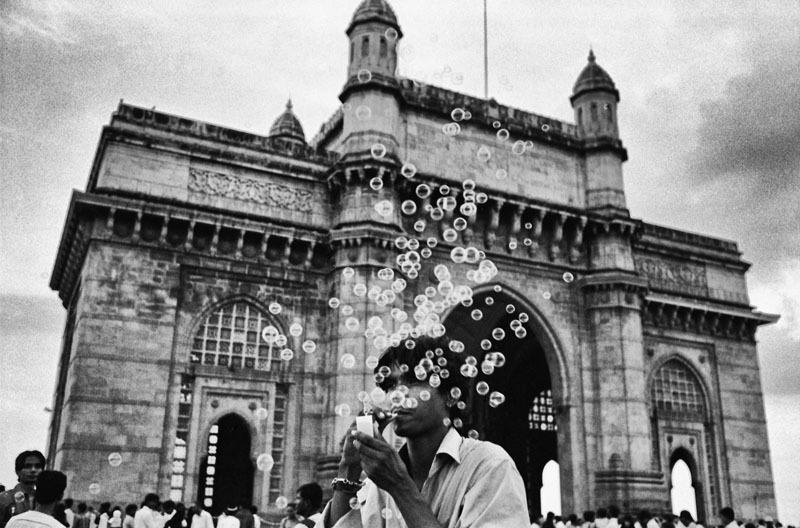 I have steadily overcome the difficulties of shooting in Mumbai and today I find that the crowds and chaos actually present interesting photographic possibilities. Mumbai is not as photogenic as Paris or as glitzy as New York so what it lacks in aesthetics has to be made up for in content. Experience has taught me to assess whether or not a situation is safe to photograph. I realized that while not all people like to be photographed, many are indifferent and too busy with what they are doing to care. I also got better at estimating distances and pre focusing, which hastened my shooting process considerably. Usually I can take a picture and be gone in a matter of seconds. Of course there will be the occasional confrontation, but nothing that can’t be resolved with some polite reasoning, genuine respect and a friendly smile. As my confidence grew so did my conviction that good street images can be made anywhere in the world. According to me street photography is the hardest and most honest form of photography. It is a documentation of history if you will. Every city throws up its own challenges that contribute to the uniqueness of the images created there. I have shot in NY, Seattle, KL, Bangkok and recently had an amazing time shooting on the streets of Istanbul with a bulky medium format camera. Each place offered up a different experience but I got reasonable results from all in the end. The basic guidelines for street photography in Mumbai and probably in most places around the world are to adapt to the situation, always respect your subjects and maintain a friendly vibe about you. You can see more street images by Kaushal on his blog at www.kaushalpar.wordpress.com or on his website at http://www.kaushalp.com/portfolio106581.html. If you enjoyed this article/review, feel free to leave a comment at the bottom of this page and also be sure to join me on twitter or my new facebook fan page! Also, you can subscribe to my feed at my subscribe page HERE and read these posts in your browser or news reader! I am also always looking for great guest articles such as the one above so if you want to contribute and promote your site/photography at the same time, send me an email using the contact button at the top of any page. 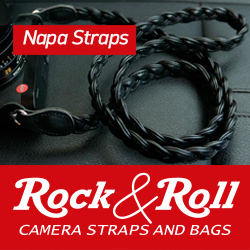 New Holster/Case for your Leica M, Pentax Q and a new M9P avaialble in the classifieds! Kaushal’s images are amazingly beautiful to watch, over and over again. I can state, without reservation, that his work is some of the most amazing that I have ever seen. Thank you. Really wonderful shots 😉 thank you for sharing! Awesome, i love all of them! You gave me a lot of inspiration, thank you for sharing! A late comment but a heartfelt one, the images of the tree, the boys at the window, and the cobbler with the bird silhouette are some of the best I have seen on Steve’s site. It is great to see real talent getting an audience. Thanks Darell and thanks for subscribing to my blog! Very nice work. I like the one with the light coming through the trees and so many others on your Web site. Your web site was nicely done and easy to use. I also believe that you achieved your goal of telling a story of people through your photos. I throughly enjoyed them all. it has been long since i enjoyed street photoes so much. By far the best images I have seen here! Superbe! Thanks for sharing your excellent photos and thoughtful notes. The pictures show a consistent and persistent eye, not too distracted by sensationalism or cliche, uncommonly perceptive of things that are happening around you. And expertly captured. Btw, as an aside to other comments, i think if anything, these examples show that cameras *do* matter; so many cameras stand in the way of the control and speed needed to reliably get these sorts of photos. Stunning stuff, each picture stands on its own. Curious about the dog on the bench shot, is that a double exposure? Two headed man in the background a bit suspicous! If it is, looks like a superb printing job resulted in a great picture. Dog on bench or man on the floor is not exactly an uncommon site in Mumbai. The double headed man in my opinion is just two guys standing together. Details seem to be lost. 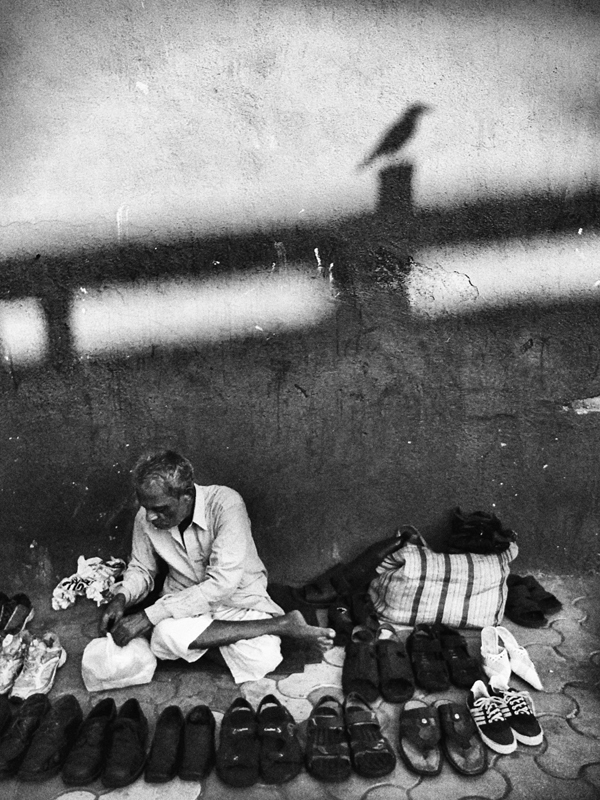 Just love the second one, the street cobbler surrounded by his shoes, specially in this wonderful set of pictures! And the story you tell just adds to my enjoyment. Brilliant! Kaushal – firstly congratulations. Your work is awesome. I truly believe and said so and it only needs to be seen by more people in Mumbai and around the world. There is a certain glee i had going through this post and then the comments and feedback, that I have enjoyed the privilege of shooting with you. Great going mate – let the world see your work. I am smiling to myself reading about the gear and equipment comments, remembering how much you were convinced yourself that an expensive camera does not make a photograph much though let me spill the beans that you do have choice with the babies you have in your shelf..
I’m someone who walks the streets of Bombay regularly so can appreciate the difficulties here. Well done KP ! Fab pics. Kaushal, WOW! brilliant shots – the man / dog is super. Wow….certainly right up there with the best shots I’ve seen posted on Steve’s site, too difficult to pick a favorite from them!! Wonderful and thanks for posting. My out and out favourite is of the old lady precariously balanced on the uneven steps, the wind blowing her skirt around her frail body. The crumbling walls of the house seem to symbolize her old age. The little boy standing on the steps, holding something like a report card, is in stark contrast. And then to cap it all is this other little boy hidden among the cracks of the crumbling wall, looking on curiously. One can weave any story one wants, to fit it. Superb! Best shots I’ve seen on this site hands down! I love the parallels of the dog and the street-sleeper, the intrigue and emotion of the window shot, the cats looking at the fish, the way the shadow indexes the sense of place in the shoe salesman’s image, and the contrasting textures in the bubble shot. I like your processing but I feel your contrast is too high and many of the details of the blacks are lost. The black and white is great, and high contrast looks great on these shots, but it’s too high. It’s apparent that contrasting textures are everywhere in those streets so show it off a bit more by bringing down the slider to the highest contrast you can get without losing detail, and keep the mid tones where they are already at. Congratulations! I’m now a blog subscriber of yours! you display a master’s sensitivity, that which is most often missing in these ‘inspirational’ posts. Nice work KP! The images are haunting, textured.. And, being from Bombay, I particularly love the portrayal of hope and humanity .. Look forward to more visual treats from you! Kaushik, this are masterpieces that you have made. Subtle, and captures the people and their environment in perfect timing. Really great. I met Kaushal at a workshop and only then I saw his work. His work and his personality match. Says a lot about a good photographer being a decent person first and he is. I can see how he would not take a photograph if it intruded on somebody’s space. It shows in his work. Amazing work; the bubble pipe and sleeping man/dog are my faves. I definitely have to check out more of your work! Wonderful and very, very inspiring pictures…and homepage! these images are fantastic. wow. very impressive and beautiful, nice work. I have never been a huge fan of black n white (most of Steve’s readers are black n white fans), but your images are changing my mind. 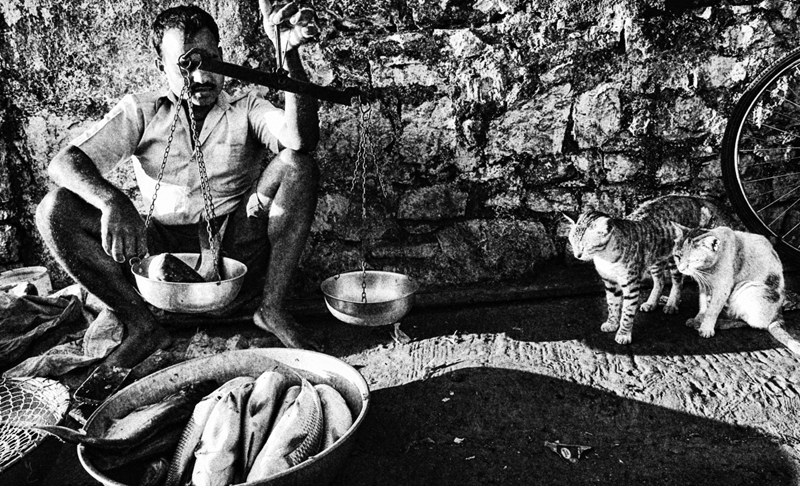 Solid compositions and content…each and every image tells a story. Well done! Would have loved to have seen the photo of the brothel you had to delete…ha ha…bet that one was a ringer as well!! I look forward to seeing more of your work, Kaushal…Cheers! Actually I spotted “3” cameras Scotty, 2 film & 1 digital. And 2 of them are P&S cameras which just shows being limited to a fixed lens is not limiting at all. Fantastic, memorable, decisive moment captures! bravo! What absolutely amazing photos. And what an eye for pictures. 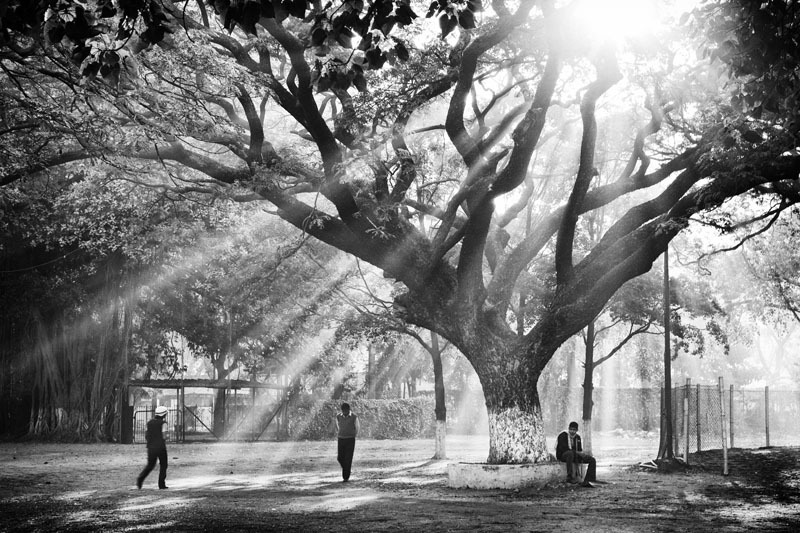 I love the tree with the sun streaming through and the dog sleeping on the bench while the man sleeps on the ground. The bubbles are awesome and the cobbler and crow is genius. Superb! So enjoyable. No gimmicky blurred backgrounds or odd crops, just well composed shots that capture a moment and tell a story! Really great! My favorite is the one of fish and cats. Absolutely fabulous. Really enjoyed these photos, best I seen in awhile. Like to see more work like this. Excellent! Thank you for this viewing pleasure! One of the best sets of images I’ve seen submitted to Steve’s site! Amazing amazing work! You should definitely think about submitting these to photo competitions, like the Leica Barnack newcomer award and others. Particularly the image with the bird shadow on the fence, the kids looking through the window, and the man with the bubbles. Also, if you’re on flickr, let us know — I’d love to see more of your stuff, and please consider posting more photos and thoughts on photography on Steve’s site. Your pictures are a very nice, so naturally observed you have a very good eye and deep interest in your work. I found your article very interesting, good points. 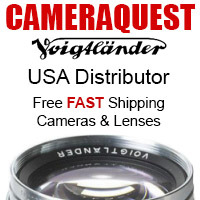 What camera/s lens/s did you use? Who cares? That’s the whole point. careful visiting Kaushal’s site, you might get upset at what gear he uses lol. Thanks for your thoughtful article. I really enjoyed it…and your images are fantastic. I used to live in NYC. Blending in with a crowd, or just being seen as a tourist, no matter where I was in the city, made it incredibly easy to photograph. This might be one reason why I don’t usually respond (on a personal level) to NYC street images. For many it’s just too….easy. Sure, there are some I like/love, but for the most part they don’t resonate within me too much. Pictures like yours, however, that speak a certain truth of place and humanity, really resonate within me. Thanks! NO, NO, NO, DO NOT TELL US WHAT GEAR YOU USED! I just want to see the images….. Very compelling images; nice work! Good job. You captured the street life in Mumbai (sans the overpopulated streets). Pic #2 and last one with the cats are very nice. To all who criticized me in my other post about Jim Fischer, this should be proof enough that Jim (poster of the three out-of-focused pics) should enhance his shooting / focusing abilities first before he invest in a Leica M9. Specially for Street Photography, he (Jim) should learn more from this post. On the other hand, great work Kaushal! Love your work on the blind community. Very compelling. Your original comments were rude and unsupportive. Your attempt here to have your flawed point/conclusion considered proven by reference to Kaushal’s excellent photographs is crass and petty. You have proven a point, but it has nothing to do with Jim or his photographs. the fact that I proved Kaushal has better street photography than Jim has everything to do with the latter.. his (Jim’s) is lacklustered, poorly composed and unfocused.. he could learn A LOT from Kaushal’s work and improve his abilities before considering a jump to an M9..
like everyone says, it’s the photographer not the camera that makes a good picture.. the fact that Kaushal did not disclose his chosen medium only proves this more.. no matter what he used, the pictures turned out great.. for all we know it might be a P&S or maybe an analog SLR.. also a strong point for Jim and his work.. even if he can afford an M9 (good for him if he can), it will NOT change his pictures neither will it improve his abilities to shoot..
so ConorB, though you might find my previous post unfavorable to Jim, I am in fact fair to all posters.. if you decided to submit pictures that shows you lack skills, I will tell you up front.. on the other hand, if you make good photographs then I will praise it.. I don’t know about all you haters.. all you see is negative criticisms and hate on the person.. and leave the positive criticisms alone.. I guess such is life.. there would be me who will always be proud to speak my mind, good or bad.. and there will be others who will choose to only bash the bad things said..
Once again, like “ConorB” stated, it was the way you went about it, onigo. And, for the record, I do agree with you that these images are, for me, better than Jim Fischer’s imagery but not for the fact of sharpness, etc., but the different content & the theme that he followed through to the end. 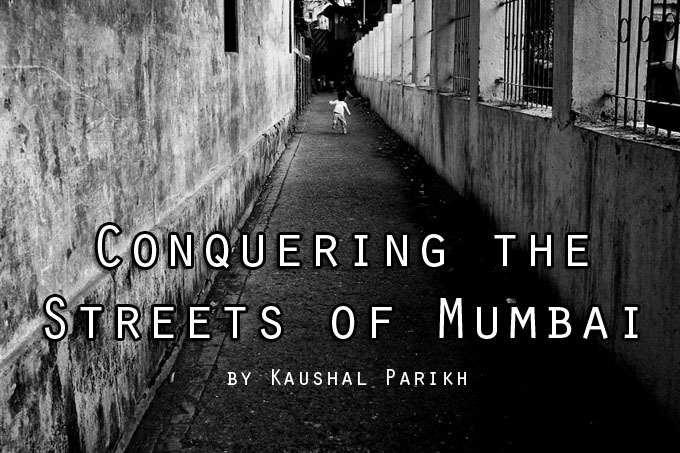 I still like Jim’s images but this series by Kaushal is outstanding, IMO!! Onigo – why do you feel that Kaushal’s excellent work is an opportunity to degrade Jim’s work. His work has a different feel. We understand you don’t like it, but keep things positive. Also, you have proven nothing. I’ve seen a million india shots, but these are really distinctive. Amazing images!!! Truly stunning! Probably best images here and each photography uniquely tells it’s story..
Amazing photographs. Really some of if not the best work I have ever seen on this site! Beautiful images delivering meaningful, honest and well realised content. Excellent composition tones and contrast, simply wonderful. It may not be new York, but this is street photography at it’s best!. Gotta agree with ya, d!rk. Love the images! Love the fact they are all black&white. The other interesting thing is that Kausal never mentions what he shot them with! I just wish I was at home so I could see them on my calibrated monitor. Each image, for me, is a story-telling image in the true sense of my idol HCB. Well done, Kausal!!! I also like the fact that he never mentioned what he shot them with. The photos speak for themselves and they are beautiful. I definitely agree. The images beg looking at again and again. I don’t even want to now about film or digital, processing etc. Simply fascinating. Yep, sometimes its nice when images are just that, images, and the focus (pardon the pun) is on the subjects of the photograph. All too often it seems as soon as we say it was taken with brand X camera, people stop seeing the photo and rather it becomes all about noise levels or DR, how a lens renders, rather than what the lens is actually pointed at, how perhaps how had brand Y been used instead of X how it would of been better etc. Missing the forest for the trees, if you will. Yep, I noticed that too & what a refreshing change. The shots speak for themselves as you say Steve. I now notice even in the world famous UK Amateur Photographer magazine that as from the last issue they have stopped listing what camera & setting details the shots were taken with from their reader submitted photos too. Great! Is there a difference between gear and process? I think so. I am always interested in the process, not the gear. In other words, I have an interest in wether or not a shot is on film and how that is processed or printed. The true could be the same for digital… (I guess). But I don’t necessarily need to know lens, camera, computer etc. I seen some of these before – tryong to remember now. Really good. Great, really great shots. Like the compositions, contrast, scenes. Really nice inspiration. The window shot is my favorite. Mine too. this good stuff of your sets you apart from many unfocused and pretentious wannabe-HCB.